Rosemary is one of the most commonly used herbs in cooking, herbal and holistic health practices, aromatherapy and personal care preparations. The name rosemary comes from the Latin ‘rosmarinus’ – ros for dew and marinus for sea. It was so named because the herb grew in locations near the sea and did not require water to grow and thrive. Instead, it obtained moisture from the humidity brought in by sea breeze. The herb is a hardy plant, able to survive even in low water conditions. It is native to Asia and the Mediterranean. The herb is alternately called rosemarine, garden rosemary and incensier. 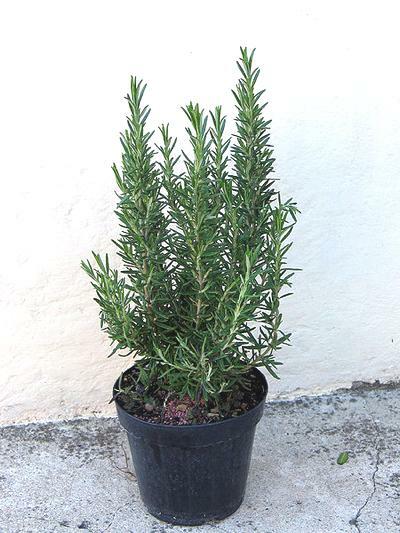 Rosemary is prized because of its fragrant aroma and medicinal qualities. The herb is a perennial, so it can be planted and harvested at any time of the year. The leaves of the plant, which resemble those of pine needles, contain oils that give off its distinct scent. The leaves may be used fresh or dried or processed in order to extract essential oils. The plant also produces pale blue flowers which are also used in the extraction of essential oil. Ornamental: Rosemary is cultivated not just for its medicinal and herbal uses but also for its appearance. It is often planted as a live ornamental shrub in gardens. It is quite easy to grow and can remain healthy and beautiful for a long time. Culinary: As an ingredient in cooking, rosemary has enjoyed a top position as a favorite herb in many different types of dishes, most of which are Mediterranean in origin. It is often used to flavor meats, fish, vegetables, soups, stews, rice and potatoes. It is also an excellent addition to sauces and dips and is frequently used for barbecuing. The herb also offers some health benefits because it is rich in calcium, Vit. B6 and iron. Rosemary is also a staple in herbal medicine. In fact, it has been used for many centuries. As far back as the 14th century, rosemary was an important ingredient in a concoction known as Hungary water which was part perfume, part treatment for gout and paralyzed limbs. The herb is also reputed to improve memory and was used traditionally as a symbol in weddings, funerals and other commemorations in Australia and Europe. This quality has recently been supported by a study that showed certain components of the herb as helpful in improving accuracy and speed in cognition. Rosemary is often used in aromatherapy to improve memory and sharpen the mind. Used with steam, it can also help clear blocked sinuses and respiratory congestion and aid in relieving the symptoms of asthma and catarrh. Added to a topical balm or massage oil, it also helps relieve pain from sore muscles, arthritis and rheumatism. There is a rather long list of conditions and disorders that are treated using rosemary. It is an astringent and tonic herb that has been known to improve circulation and digestion. It helps stimulate perspiration and is thus helpful in regulating body temperature and eliminating toxins. It also has anti-inflammatory properties and can be used to fight a variety of bacterial, viral and antifungal infections. Used internally with careful dosing and advice from a trained herbalist, rosemary can help treat flatulence, common stomachaches and excess production of gastric juice. It is also often used as a supplement in the treatment of rheumatism. The herb has also been used to improve proper circulation of blood to the male sexual organs. As a topical solution, 3 drops of rosemary is sometimes added to 2 drops of cedarwood, 2 drops of thyme and 3 drops of lavender and applied onto the scalp. A base of grapeseed oil and jojoba oil is used for this formula. The combination has been promising in some people for the treatment and prevention of hair loss. The oil is also used in shampoos and hair tonic to prevent baldness and treat dandruff. Rosemary is safe when consumed as an ingredient in foods and dishes and is generally safe when taken orally or topically. There has also been no known adverse effects when it is used in aromatherapy. However, pure rosemary essential oil should be used with caution. Taken internally, it could cause allergic reactions, rashes, skin redness, photo-sensitivity, uterine bleeding, vomiting and kidney irritation. Rosemary is known to stimulate menstruation and should not be used by pregnant women because it might lead to miscarriage. 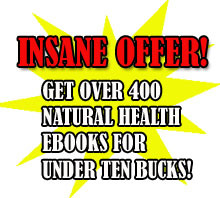 Its effects on the unborn baby or infant during nursing have not been established as well. As a precaution, do not take this herb in medicinal doses without consulting a medical professional especially if you have a pre-existing condition or disorder.